Are you hungry and want to enjoy a really satisfying meal? 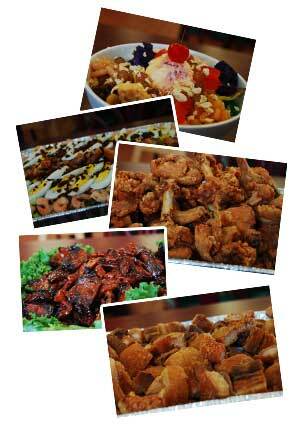 Perhaps you want something out of the ordinary, yet will truly fulfill your hunger pangs? 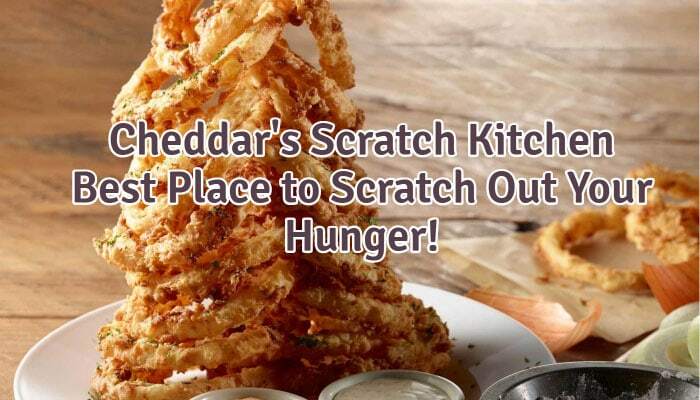 Look no further, then – Cheddar’s Scratch Kitchen will definitely hit the spot! 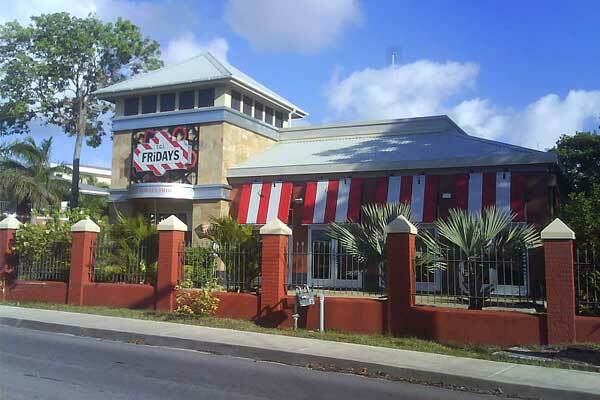 For amazing times, do make sure to visit the nearest Cheddars Restaurant! But how did this awesome joint first started? 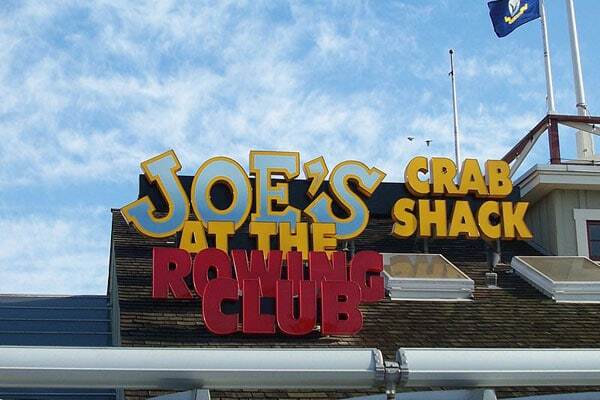 Well, it all began way back 1979, when Doug Rogers and Aubrey Good decided to open up a restaurant in Arlington, Texas. 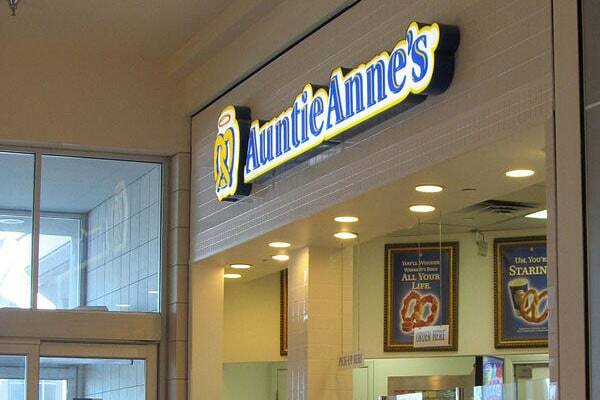 Since then, and with several strategic transfers of ownerships, the brand continued to grow and foster much delight for patrons and customers who’d want something more when dining. In fact, as a testament in providing both healthy and tasty dishes, Cheddar’s Scratch Kitchen has won several outstanding awards throughout the years (to name just a few, Restaurant Business named the brand as the top 3 among its list of 20 Top Full-Service Chains In Sales And Satisfaction; Cheddar’s had also won the Favorite Casual Dining Restaurant award in a Market Force Study). 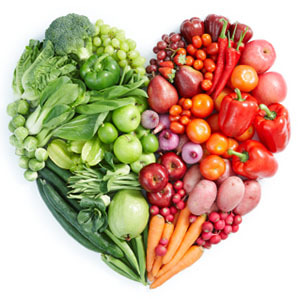 Of course, Cheddar’s Scratch Kitchen goes the extra mile in whipping up healthy dishes. Aside from having a selection of food for health-conscious individuals, the restaurant also lists down calorie counts and the like – this simple yet important move will help more customers to know exactly what they’re in for when eating at this place! Top of the List: We Recommend These Cheddar’s Scratch Kitchen Food! With a wide variety of food to choose from, it can be quite daunting to pick which from the Cheddar’s Scratch Kitchen menu is the best to eat! Let us help you out – here are some of our top picks that you’d really need to try when eating over at this restaurant (and if applicable, we will also be listing the approximate calorie count of each recommendation, just to give you an idea if you’re keeping fit and the like)! As one of the most-demanded dishes at Cheddar’s Scratch Kitchen, the Chicken Tender Platter definitely does not disappoint! 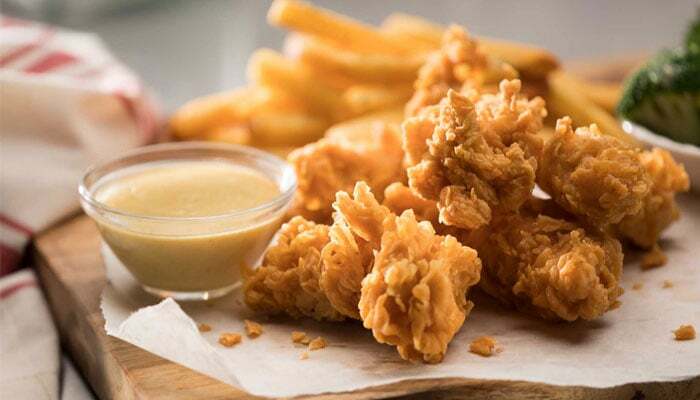 Made by hand, and only cooked when ordered, the Chicken Tender Platter comes in three (and all yummy!) 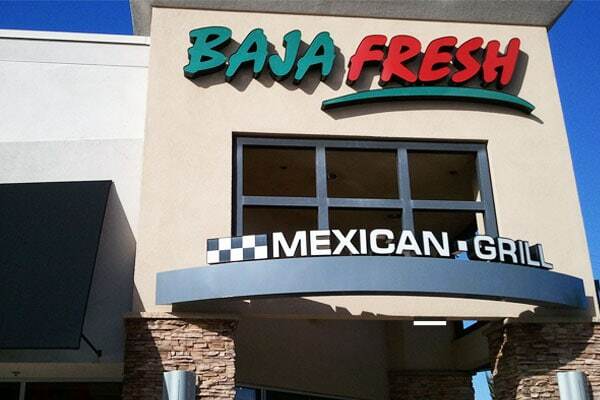 flavors: Honey Hot, Classic, and Buffalo. This dish is also served with a generous siding of delicious coleslaw and French Fries. Approximate calorie count of a Cheddar’s Scratch Kitchen’s Chicken Tender Platter is at 630 cal. Add some fresh greens to the amazing chicken tenders that Cheddar’s Scratch Kitchen has to offer! Hand-breaded to perfection, this choice comes with outstanding choice of vegetables and jack and cheddar cheese. 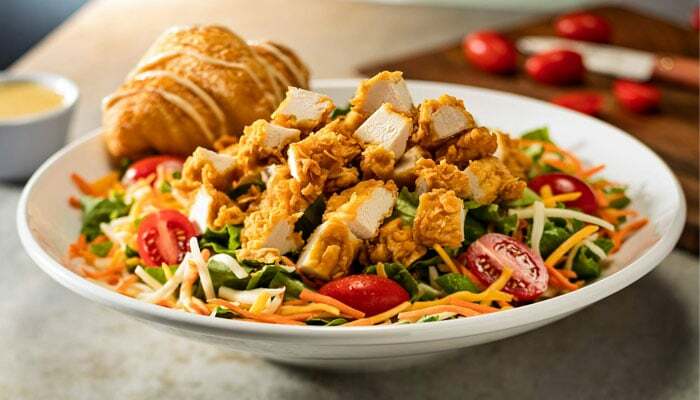 The Crispy Chicken Tender Salad also comes with delicious honey mustard dressing, and has an approximate calorie count of 370 cal. The best in flavor is guaranteed with this dish! 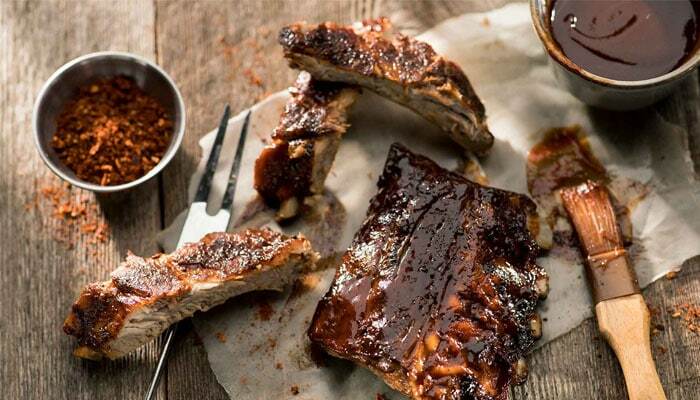 Slow-smoked for a minimum of 4 hours, Cheddar’s Scratch Kitchen Full Rack Ribs is grilled as well with spectacular honey BBQ sauce. The Full Rack Ribs is also served with coleslaw and a generous side of French Fries. Approximate calorie count of a Cheddar’s Scratch Kitchen’s Full Rack Ribs is at 630 cal. 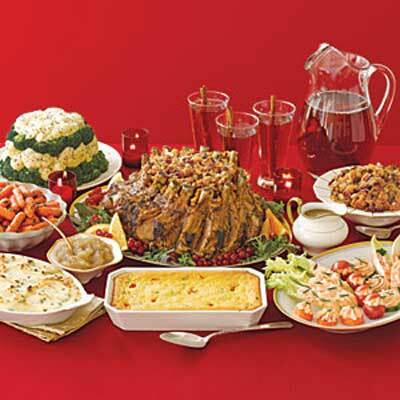 Enjoy your Cheddar’s Scratch Kitchen dish with an amazing side. 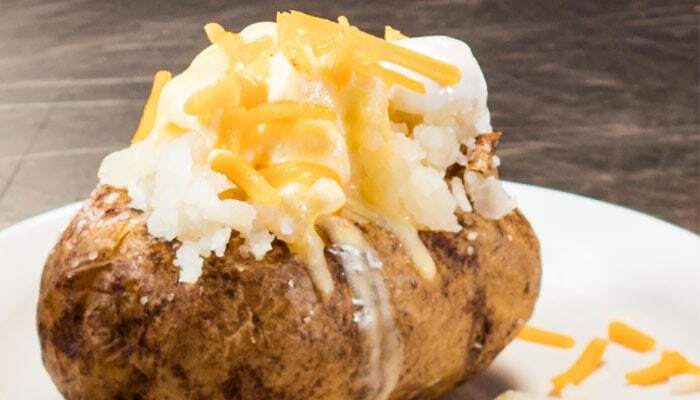 The Loaded Baked Potato, a heavy and yummy treat, is the best side that will go with almost anything on the menu. Approximate calorie count of a Cheddar’s Scratch Kitchen’s Loaded Baked Potato is at 430 cal. Don’t let this “standard” dish fool you. 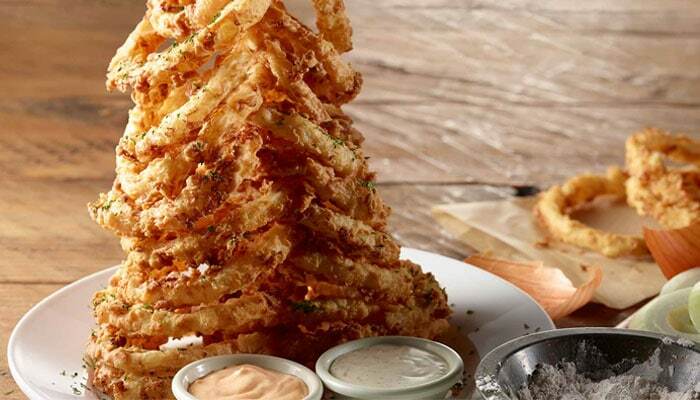 Cheddar’s Scratch Kitchen whips up their onion rings in such a way that it’s one of the most-ordered dishes in the restaurant! 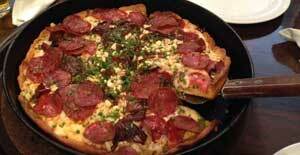 This dish is also served with one-of-a-kind Cajun and ranch dips! Approximate calorie count of a Cheddar’s Scratch Kitchen’s onion ring dish is at 520 cal. Yes – Cheddar’s Scratch Kitchen also serves amazing burgers! 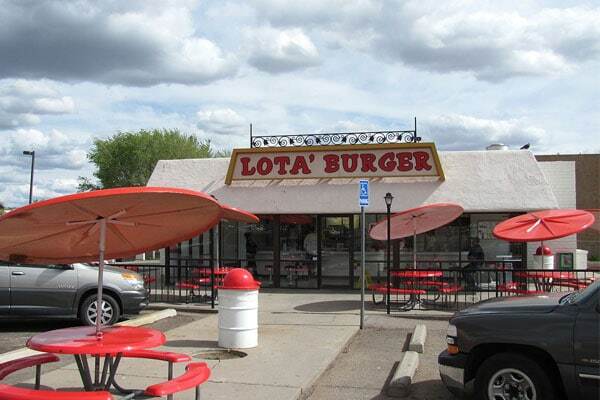 A top choice in this category would be no other than the Bacon Cheeseburger. 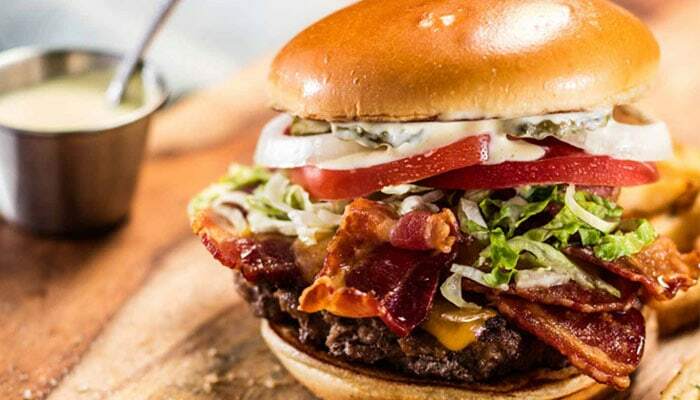 A massive delight, this burger is packed with cheddar cheese, onions, pickles, lettuce, tomato, and four amazing slices of the crispiest bacon you’ll ever have in your entire life! Approximate calorie count of a Cheddar’s Scratch Kitchen’s Bacon Cheeseburger is at 1050 cal. 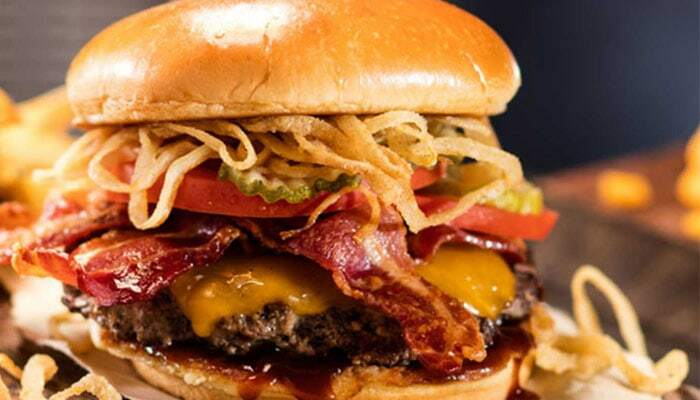 Another Cheddar’s Scratch Kitchen burger that you should try is the Smokehouse Burger. This choice comes with tangy BBQ sauce, bacon, cheddar cheese, pickles, tomato, and scrumptious and the crispiest onion straws. Approximate calorie count of a Cheddar’s Scratch Kitchen’s Bacon Cheeseburger is at 1150 cal. Enjoy some fine Cheddar’s Scratch Kitchen chicken tenders in sandwich form! 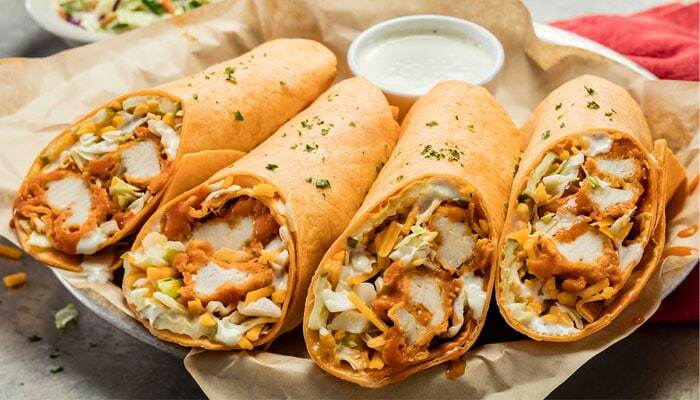 With the choice of having the chicken tenders as fried or grilled, the Buffalo Chicken Wrapper is essentially an amazing flour tortilla wrap of shredded cabbage, cheddar cheese, pickles, and a special and homemade Cheddar’s Scratch Kitchen ranch dressing. Depending on the choice of chicken tender, the approximate calorie count of a Cheddar’s Scratch Kitchen’ s Buffalo Chicken Wrapper is at 1520 / 1830 cal. Another amazing sandwich to try at Cheddar’s Scratch Kitchen is the Philly Cheesesteak. Made with melted cheese, onions, peppers, and some of the yummiest sautéed mushrooms in the world, this toasted roll will truly make you smile. Approximate calorie count of a Cheddar’s Scratch Kitchen’s Philly Cheesesteak is at 1010 cal. Want a light yet tasty treat? 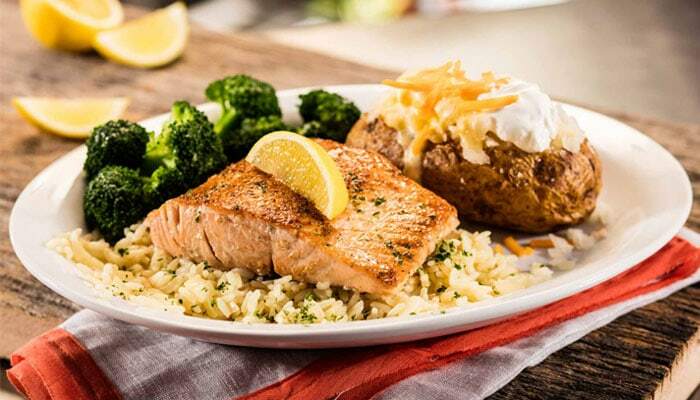 Cheddar’s Scratch Kitchen’s Lighter Side Grilled Salmon may just be the perfect dish for you! Prepared and cooked when ordered, this light salmon (with a choice of blackened or glazed with bourbon) is served over some yummy seasoned rice. The Lighter Side Grilled Salmon also comes with a choice of two sides. Another light choice to consider is this yummy dish. A healthy serving of tilapia fish and delectable shrimp is perfectly combined with some fresh mango salsa over rice. With a choice of two sides, the approximate calorie count of a Cheddar’s Scratch Kitchen’s Grilled Tilapia & Shrimp is only at 490 cal. We hope you enjoy your meal at Cheddar’s Scratch Kitchen today!